Summer doesn’t officially start until tomorrow, but it’s certainly felt like summer for a while. Don’t start the season with a sunburn—it’s a painful, unnecessary reminder to be more sun-conscious. Make the most of your summer with my 6 tips for staying safe in the sun this season. My first tip is the most obvious, but also the most important. Especially during the summer, sunscreen is necessary to prevent sunburns and minimize your chances of developing skin cancer. To best protect yourself against UV rays, you should use a broad-spectrum sunscreen with an SPF of at least 15. SPF is also important when choosing a sunscreen- it describes how long the sunscreen will effectively protect you from the sun. SPF multiplied by the amount of time you can usually spend in the sun before burning determines the amount of time you are protected from the sun. If you usually burn after fifteen minutes in the sun but you generously apply SPF 30 broad spectrum sunscreen, you should be protected from UV rays for a maximum of 450 minutes. For best results, sunscreen should be applied BEFORE you go outdoors and reapplied often. The length of protection also depends on your outdoor activities—water will affect a sunscreen’s effectiveness. Refer to your sunscreen’s instructions for more information about how often to reapply. Did you know that when the UV Index is very high (8+), your skin can burn after less than ten minutes of sun exposure? 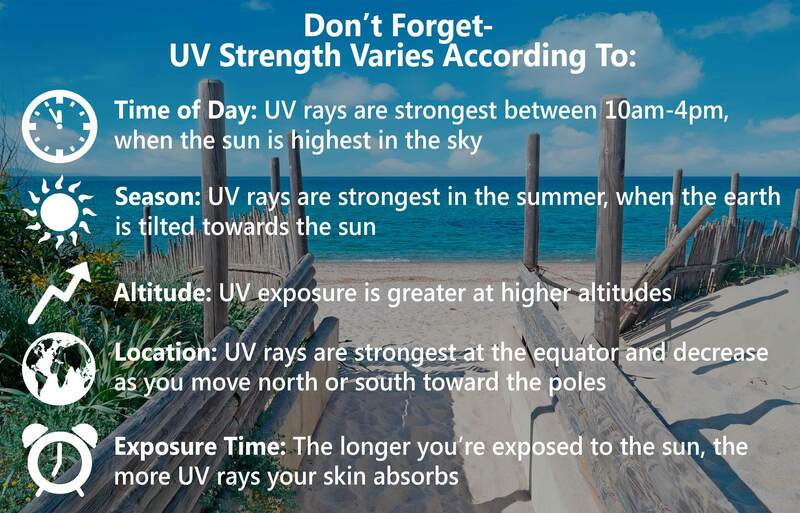 The UV Index can be a very helpful tool for minimizing sun damage. The United States Environmental Protection Agency, along with the National Weather Service, provides a next day forecast of predicted UV ray strength. This information can help you decide how frequently you should be reapplying sunscreen—more often on days with a higher index number—or what sort of protective clothing measures you should take before venturing outside. You may also want to avoid spending long periods of time outside when the UV Index is especially high. The United States Environmental Protection Agency offers a free UV Index smartphone and web app that displays a forecast of UV radiation levels. The EPA’s app is a great way to prepare yourself for summer while you’re on the go. 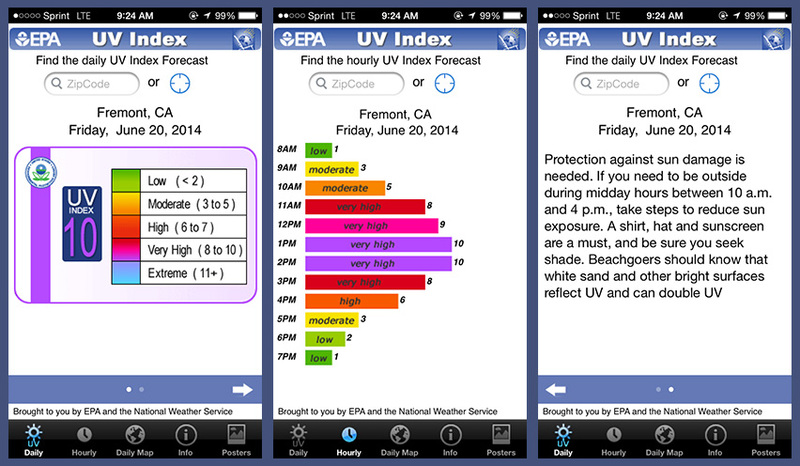 You can download the free app by searching for “EPA’s SunWise UV Index” in your phone’s app store. You can also visit the US Environmental Protection Agency’s website to check the UV Index. The sun’s rays are stronger between 10am and 4pm than any other time of day. The strongest rays occur around noon, when the sun is the highest in the sky. Whenever possible, it’s safest to stay in the shade during peak hours. If you are going to be outside between 10am and 4pm, protect yourself with sunscreen and appropriate clothing. You remembered to apply sunscreen before going outside, but are you also wearing the right clothing and accessories? A large-brimmed hat can help to protect your scalp, face, and neck from sun damage. Like your skin, your eyes can also be damaged by UV rays. Sunglasses aren’t just a fashion statement—they block most UVA and UVB rays and help to protect your eyes from the sun. The clothing you wear in the summer can also affect your level of sun protection. Loosely woven, light colored clothing provides less protection than clothing made with a darker, tightly-woven material. A tighter fabric weave will help keep UV rays from reaching your skin. Make sure to supplement regular sunscreen application with protective clothing to best shield your skin from harmful rays this summer. With all of the sun exposure you’ll be getting this summer, it’s a great time to preform regular skin exams every few months. Look for any changes in size, color, texture, or shape of moles or dark spots. Also look for any new or abnormal moles or growths. 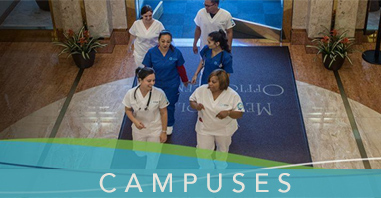 Make sure to have any abnormalities checked, as early detection can make all the difference when treating cancer. 6. Lastly, Drink Plenty of Water! In the summer, it’s essential to stay properly hydrated. 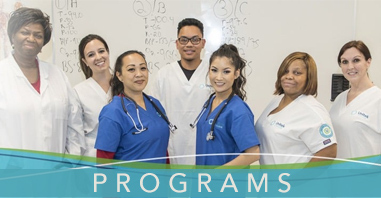 Dehydration is uncomfortable and can lead to serious consequences, including headaches, decreased blood pressure, dizziness, fainting, and, in extreme cases, death. When you’re spending time in the sun, you need to drink enough water to replace what you’ve lost from sweating. Generally, you should drink between six and eight glasses of water every day. In the summer, depending on the temperature and your rate of physical activity, you may require more water to stay hydrated. That’s it for my summer sun safety tips—what do you do in the summer to stay healthy while having fun in the sun? Leave your tips in the comments.